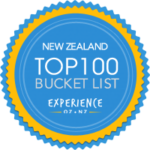 Voted the Number 1 Bucket List activity in New Zealand. With Black Cat Cruises you will enjoy a once in a lifetime experience, supported by experienced local crew with world class facilities. 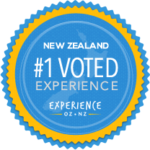 Our experience and dedication to our local environment delivers a New Zealand must do activity here in Akaroa. It’s the ultimate dolphin experience as you will be swimming with the endangered Hector’s Dolphin, the world’s rarest and smallest oceanic dolphin. Hector’s dolphins are protected in Akaroa Harbour by a marine mammal sanctuary and our dolphin cruise gives you the chance to see and swim with these beautiful marine mammals close up in the wild in their natural habitat. Hector’s dolphins are endemic to New Zealand, meaning that you will not find them anywhere else in the world, and Akaroa is the only place you can take a trip out to swim with them. An encounter with a Hector’s dolphin in the wild is truly a once in a lifetime experience. Black Cat Cruises donate a portion of all ticket sales back to the education and research of the endangered Hector’s dolphin, and we offer a fantastic dolphin guarantee policy due to our high swim success rate. This is possibly why Black Cat Cruises dolphin swim experience is listed in the Lonely Planet guide as on of the ‘Top 10 Marine Mammal Experiences in The World’! Prices are in New Zealand dollars and include GST. Akaroa is located around 80 to 90 minutes drive from Christchurch city and Christchurch International airport. It is an easy drive in a car through New Zealand farmland and then over the stunning Banks Peninsula hills to Akaroa. See http://maps.google.com/ for detailed directions of how to get from Christchurch to Akaroa. Once in Akaroa continue along Rue Lavaud, which turns into Beach Rd. look for the long wharf in the centre of the town. You’ll see our large blue building on the wharf with a dolphin mural painted on the roof. Print this map out to help you navigate. You can also find us at 61 Beach Road. Akaroa Harbour is the flooded crater of an extinct volcano, set within picturesque Banks Peninsula. Apart from the huge and awe-inspiring volcanic cliffs, this also means that the harbour is very sheltered. A lot of the time, especially in summer, your dolphin encounter will be inside the sheltered harbour.You’ll be swimming with the world’s smallest dolphins in the world’s largest ocean! Black Cat Cruises are the only operator to offer 3 fully sheltered swim vessells, with on board toilets, followed by hot showers and seperate male and female changing rooms with lockers at our facilities on the main wharf. Plus a portion of every ticket sale goes towards the research and education of Hector’s dolphins so by choosing to come and have fun with us you are supporting and helping the dolphins at the same time. A basic level of fitness is required. You will be floating in the water and will be required to swim to and from the boat – distances up to 50 metres (150 feet) at a time. Swimming with dolphins is not available for children under 8 years old. (See FAQ below). Children between 8 – 12 must be accompanied by an adult swimmer. Customers should have some knowledge of English, so you can understand safety instructions and emergency procedures. If you do not speak English, you should be able to read and understand the foreign language safety instructions and be confident that you can communicate with crew using the pre-agreed hand signals in the event of an emergency. Customers must not be under the influence of drugs or alcohol. Black Cat was the first cruise boat company in the world to get the coveted Green Globe 21, an international programme to ensure best environmental practices. We are also DOC approved and are the only cruise operator in Akaroa to have an Enviro-gold certification from Qualmark. What happens if no dolphins are sighted, or we see them but can't swim with them? We see dolphins on 97% of our cruises, however if you fall into the very unfortunate 3% we have a very generous 50% refund policy. This means you get half of your money back if no dolphins are seen. We have a successful swim rate of 83%, however if you fall into the unlucky 14% of people who get to see the dolphins but not swim with them then you will receive a 25% refund. Just bring your swimming costumes and a towel, your camera and sunblock are not essential but advisable. Everything else is provided for you including wetsuit, mask, snorkel, booties, gloves and a hood if necessary. You can hire or purchase a towel from us if you forget to bring one. YES. You need to be confident in the water and capable to swim at least 50 metres. If you cannot swim you can still join us on the boat as a watcher. Obviously the water is over your head and a degree of confidence in swimming is required. Customers must declare any pre-existing medical conditions which may limit your participation. What if i suffer from sea sickness or asthma? If you are prone to suffer from sea-sickness we advise taking an anti-sea-sickness tablet before checking in for your swim. Different varieties take different amounts of time to start working so make sure you give yourself this time before heading out on the water. We also offer pressure point wrist bands, however it is best to attempt to stop the potential sea-sickness before it starts. If you suffer from asthma it is essential to bring your inhaler with you to take out on the boat for your own safety. No. These dolphins have extremely sensitive skin and a slight touch may bruise or hurt the dolphin. A nail may scratch the surface of their skin causing infections. Yes these dolphins are completely wild. No. We must not disturb their natural diet and feeding habits. Can children swim with the dolphins? Children must be aged 8 years or older. Children aged 8-12 years old must be accompanied by an Adult swimmer in the water. All Children (16 years or younger) must be accompanied (on the vessel) by an Adult or guardian 18years or older. Children must be fit and confident swimmers – our swim experience takes place in the ocean. We have been operating dolphin swimming for 20 years now and have never had a problem with sharks. Generally if there are sharks around then the dolphins will be nowhere to be seen. In the summer the water temperature is around 17 degrees Celsius, in winter this usually decreases to around 11 degrees. We have very good quality thick wetsuits which keep you warm in the water. We also have booties, gloves and hoodies. The following provides a guideline to those of our customers who have a physical disability. We can cater for customers who are blind or have a loss of a limb. For those with a mental illness we have never had any issues in the past provided there is good support from friends and family. Information for Dolphin swimming customers with a disability; We don’t recommend swimming with dolphins for those with a disability however if you have a strong support swimmer and have experience swimming in the ocean than it can be done. We also have life jackets on hand as well as the wet suits which provide flotation. At the end of the day the skipper and crew will make a decision based on sea conditions. If we feel safety is compromised then a swim will not be possible. For those in wheelchairs some mobility is required to board the vessel. Please call the wharf to enquire.